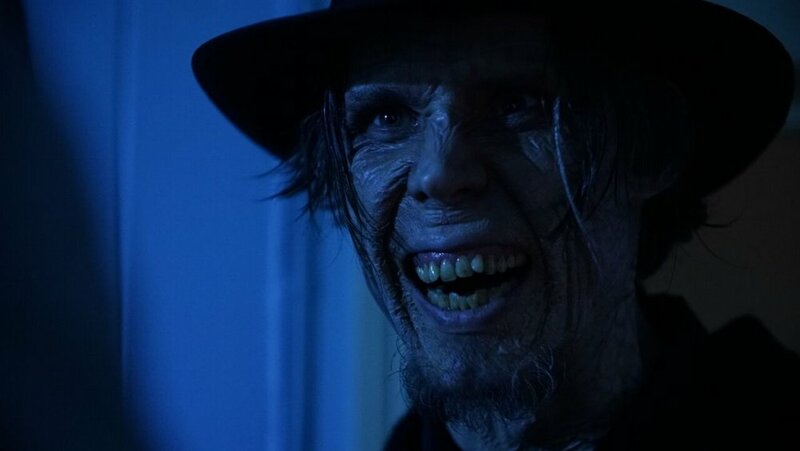 There isn't a lot particularly wrong with Out of the Shadows, but there is very little here to discern it from other haunted house movies, and it contains a rather large plot hole. Eric is a homicide detective in a small Australian town. His most recent case involves the murder of a woman and her unborn baby - which the police have been unable to recover. The murderer, the woman's husband, seems totally insane. Back at home, Katrina is trying to placate her mother about the impending birth and that things are okay. However, she and Eric are still looking for somewhere to call their own. Something bigger than Eri's apartment at least, which is basically a bedsit. This seems to be common knowledge, as Eric's boss actually pulls him from his homicide case to go check out a long-empty building on the edge of town which she thinks would be an affordable solution. It takes hardly any time at all for things to get spooky once Eric and Katina move in. Eric is of course not convinced of anything supernatural but is definitely convinced someone is messing with them when he discovers his patrol car on its roof! 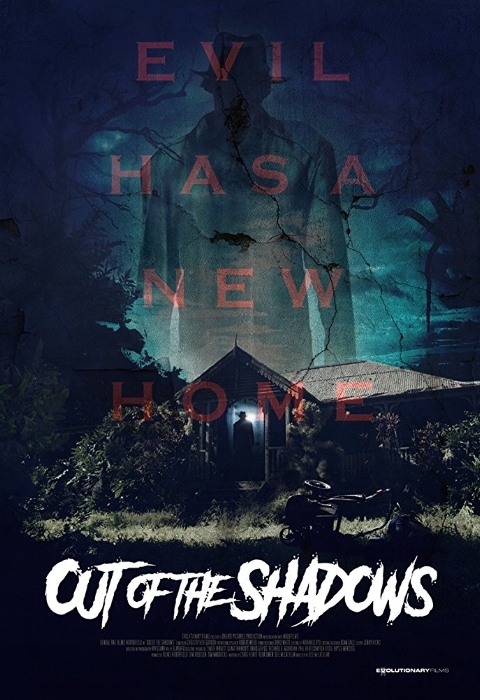 Out of the Shadows tries to walk a fine line between our real world and a fictional one where ghosts and demons could exist. Here we have a Catholic church which has been bitten too many times with bad press - allowing exorcisms on people suffering mental illness - and reluctant to jump to any conclusions about Katrina's experiences. Especially so when the priest asks if she's been prescribed anti-anxiety medication (she has) and whether she's taking it (she isn't). Technically this is very well made, except for the sound design. There is a huge amount of aural FX going on, which hits you like a barrage. Perhaps that is the point but watching the film with headphones loses any attempt at subtlety. Not that there is anything particularly subtle about this film, especially the ending, an over the top climax where the characters face the consequences of decisions and actions made earlier in the film. Interestingly it would appear, from press stills I've seen, that there may have been a more traditional ending to the film. Personally I'm glad they went with this one. Other than its all-bets-are-off finale, this is a very middle of the road horror movie in which a pregnant woman is terrorized in her new home - a pretty common horror trope made slightly more interesting thanks to its Australian setting and cast and the way it embraces Catholic rituals in its religious plot elements. What sets this apart Is how much the film embraces its religious context and the rather solid ending.